ha continuado espiando en Estados Unidos? has continued to spy in United States? Panama’s Vice President and Foreign Minister Isabel de Saint Malo will begin an official visit tomorrow to Cuba, with the aim of promoting the participation of the tyranny of the Castro brothers at the Summit of the Americas, which will be held in Panama in April of 2015. Why the Government of Panama persists in to help the communist dictatorship? You know why Castro’s Cuba can not participate in the Summit of the Americas. Besides, has continued the Castro espionage in the United States. Despite the fact that as many as 25 years have passed since the cold war ended, the Cuban intelligence have persisted, with great priority, spying the U.S. government. This is an issue of concern to United States, considering the fact that the information that the Cuban intelligence accesses can be as well accessed by the U.S adversaries. For example, the Islamist extremists. The academic world —primarily defined as schools, colleges, universities, and research institutes— provides a fertile environment in which foreign intelligence services can operate. Consequently, the Cuban intelligence services (CuIS) are known to actively target the US academic world for the purposes of recruiting agents, in order to both obtain useful information and conduct influence activities. Academia has been and remains a key target of foreign intelligence services, including the CuIS. The CuIS actively target academia to recruit agents and to support Cuban influence operations. Unfortunately, part of what makes academic environments ideal for enhancing and sharing knowledge also can assist the efforts of foreign intelligence services to accomplish their objectives. This situation is unlikely to change, but awareness of the methods used to target academia can greatly assist in neutralizing the efforts of these foreign intelligence services. President Varela, I invite you to read the report Cuban Intelligence Targeting of Academia. The Castro espionage machine is a formidable one, and those who choose to ignore it put the security of the United States in dire risk. 1- In the mid-1990s, the FBI dismantled a network of Cuban agents operating in South Florida. The second in rank was the Cuban intelligence Major, Ramón Labañino Salazar, who was my student at the University of Havana in the first half of the eighties. Some of these agents infiltrated Brothers to the Rescue, a Cuban exile organization that flew aircraft over the Florida straits to rescue rafters fleeing Cuba. In 1996, the Cuban government shot down two Brothers to the Rescue aircraft over international airspace, killing four individuals. Prior to the shoot-down, the Cuban government had tasked its agents to provide details about the organization’s flight plans. 2- In 2001, the FBI arrested Ana Belén Montes, a senior analyst with the Defense Intelligence Agency. 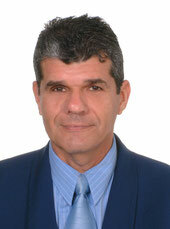 Montes acknowledged spying for Cuba for over a decade, and is currently serving a 25-year prison sentence. Montes’ Cuban handlers, with whom she met in the United States, have never been identified. 3- In 2006, Carlos Álvarez —a Cuban professor at Florida International University— and his wife were arrested and charged with spying for Cuba. Mr. Álvarez admitted that he spied on Cuban exile groups for nearly thirty years. Mr. and Mrs. Álvarez pled guilty to certain charges arising from their espionage activities, and received a five and three-year sentence, respectively. 4- On June 4, 2009, the FBI arrested U.S. State Department employee Walter Kendall Myers and his wife, and charged them with spying for Cuba for three decades. Both plead guilty. Mr. Myers is currently serving a life sentence, and his wife is serving an 81-month sentence. 5- In 2013, the U.S. Department of Justice unsealed an indictment charging former State Department employee Marta Rita Velázquez with conspiracy to commit espionage. Velázquez allegedly introduced Ana Belén Montes to the Cuban intelligence service in 1984. Velázquez currently resides in Sweden and remains outside the reach of U.S. justice. President Varela, the Federal Bureau of Investigation can not to say how many Cuban spies might be in Miami. Do you can to say me how many Cuban spies might be in Panama? Due to the clandestine nature of intelligence operations, it is impossible to know just how many Cuban spies have arrived in Panama and are now living among us. I suspect of one of them, but I can not prove it. 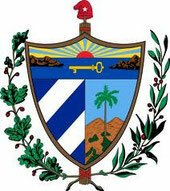 Basically the Cuban intelligence service never had to be reinvented, other than by the name, from the former Intelligence Directorate (DI Dirección de Inteligencia) to the General Directorate of Intelligence (DGI, Dirección General de Inteligencia), with original training by the former Soviet KGB. The DGI has been and remains a contingency of very well-trained, organized and financed agents of covert and hostile espionage throughout the Americas and elsewhere. The DGI is responsible for all foreign intelligence collection. The 50-year history of the nefarious operations of the DGI has included active involvement in aiding leftist and dictatorial movements in Latin America, Africa and the Middle East. The Castro espionage has been linked to villainous associations with the Chinese and Iranians. As well, Cuba has been expanding intelligence operations with others in the Middle East and South Asia. President Varela, I invite you to read: Lefebvre, S. Cuban Intelligence Activities Directed At the United States, 1959–2007, 2009, (Routledge: Taylor and Francis Group). I remind you that in reprisal for my complaints the dictatorship of the Castro brothers has not given me a new passport, so I can not leave Panama. President Varela, this is theeighthtime I explain to you why Castro’s Cuba can not participate in the Summit of the Americas. President Varela, I repeat the seven emails I sent to you.Can you answer my request please?